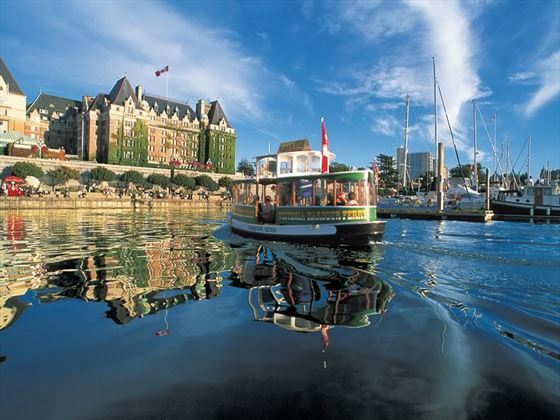 Experience the wildlife and seascapes of British Columbia. 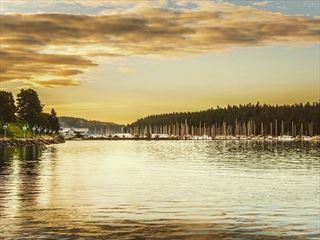 Beginning in Vancouver, you will take the scenic ferry across The Strait of Georgia to Vancouver Island. 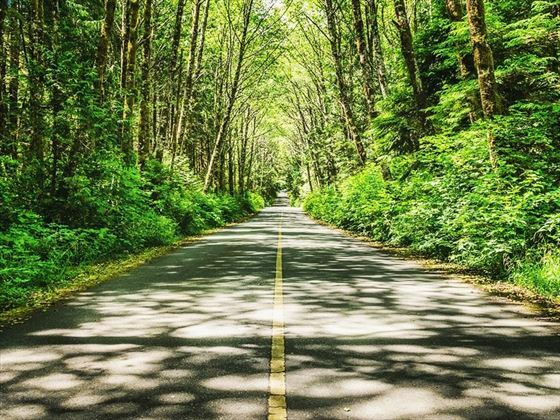 Highlights include climbing into the rugged Malahat highlands, driving the Island Highway with easy access to the islands beaches and Provincial Parks such as Morton Lake, Elk Falls and Miracle Beach. You will be able to buy fresh seafood to BBQ at your chosen campsite and when you reach Port Hardy on Vancouver Island you can spot killer whales, dolphins and seals from the shore. The itinerary below is just a suggestion for your motorhome holiday - you are free to choose where and when you stop. You select your own campsites – in high season you’re advised to book these early, but outside of peak times you can usually leave yourself with the flexibility to adapt your itinerary as you go – if you totally love a place, then why not stay another night? 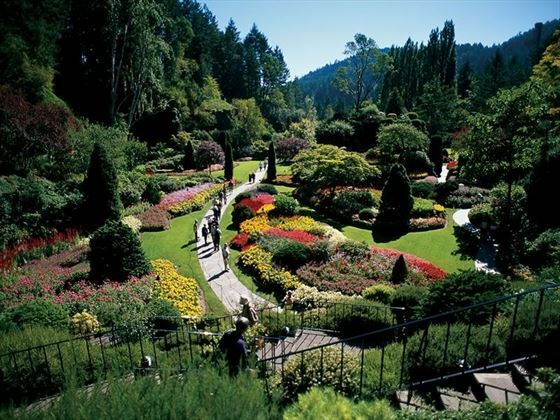 This itinerary has been designed for you to explore Vancouver Island over the course of a week, but you may want to add this to a flydrive holiday around the Rockies and National Parks staying in hotels and lodges such as the Great Parks of the West or a perhaps a trip on the Rocky Mountaineer train such as the Rockies Highlights. 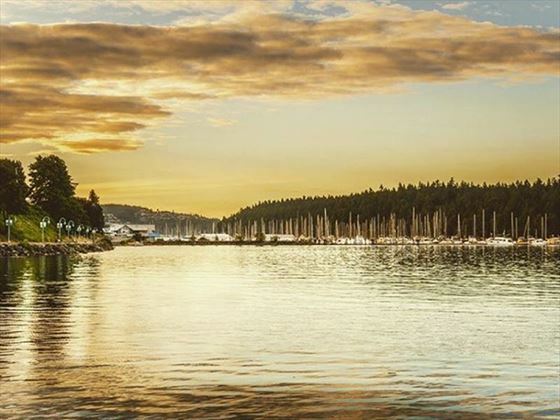 Travel inspiration: Spanning an incredible diversity of ecosystems, Vancouver Island offers the perfect environment for recreational pursuits and close encounters with some of the region’s most iconic wildlife. Read our guide to getting around this vast island. 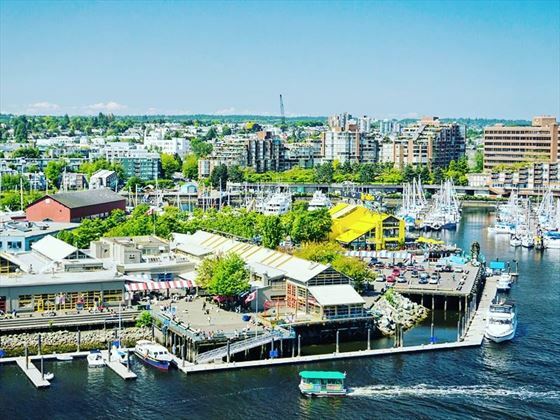 Arrive in Vancouver and check into your airport hotel for a relaxing night before your road trip. Set off in good time for the Tsawwessen-Swartz Bay Ferry which should be a simple hour long drive, but do allow additional time so you don’t miss your sailing. 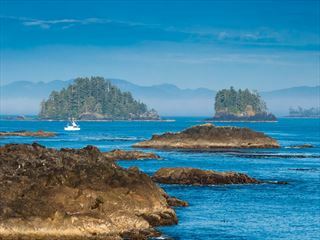 You’ll take the ferry across to Sannich, south Vancouver Island, so enjoy the seascapes on the ninety minute trip across the Alaska Marine Highway. Once on dry land, you have a 20 mile drive to tonight’s suggested campsite – the West Bay Marine Village. 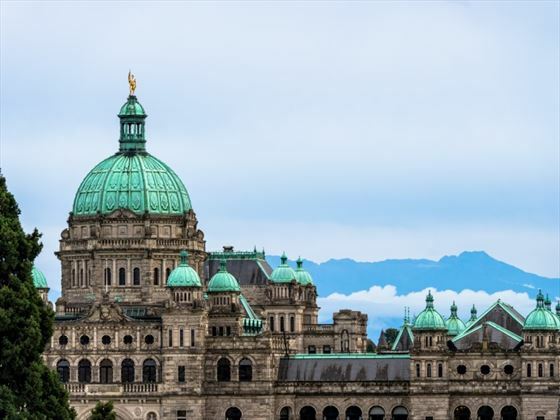 Continue to the northern-west tip of Vancouver Island Port Hardy, where you may see killer whale pods and schools of dolphins jumping through the waves. 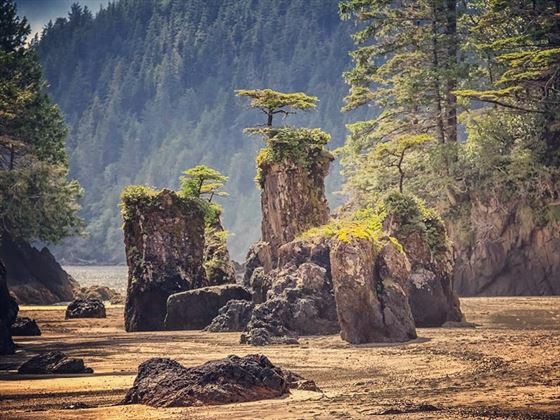 Cape Scott Provincial Park is situated on the northern point of the island and here you can explore the fourteen miles of beach where seals and sealions frolic off-shore. 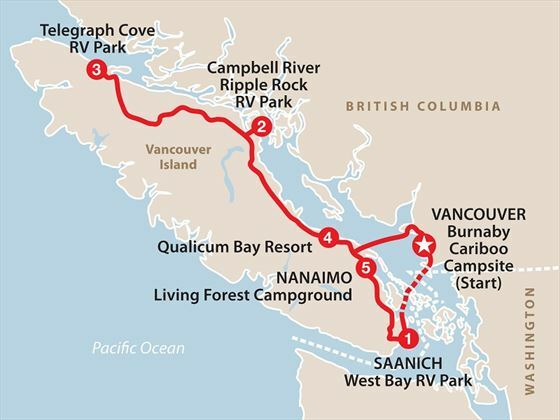 Then head back on Highway 19 for your overnight stay at Telegraph Cove RV Park.We suggest you stay a couple of nights here, after your long drive today. You can extend any of your stays on this itinerary - you just tell us how long you would like your holiday today. We've put an extra day in here for you to spend more time in this amazing location. 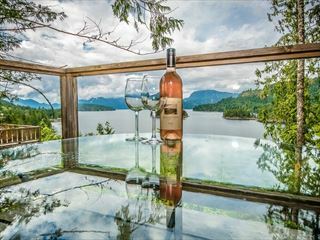 Explore the pristine ocean shores, hike the legendary Blinkhorn Trail, enjoy a barbeque of the fresh catch of the day. Driving back southbound, you can visit the Provincial Parks of Morton Lake, Elk Falls and Miracle Beach. This area is rich in seafood, so why not buy the daily catch and enjoy a BBQ this evening. Plenty of time today to enjoy the beaches, as it’s just a short drive to your next stop – Vancouver Islands second city Nanaimo in it’s beautiful location between Mount Benson ay out nd the Straight of Georgia. You’ll enjoy strolling the Old City Quarter with its historic buildings charming shops and quirky museums. Tonight’s campsite is a beautiful natural park of fifty three acres, along the riverside and oceanfront. The Horseshoe Bay Ferry is just ten minutes from your campsite, and then it is a two hour crossing back to Vancouver. 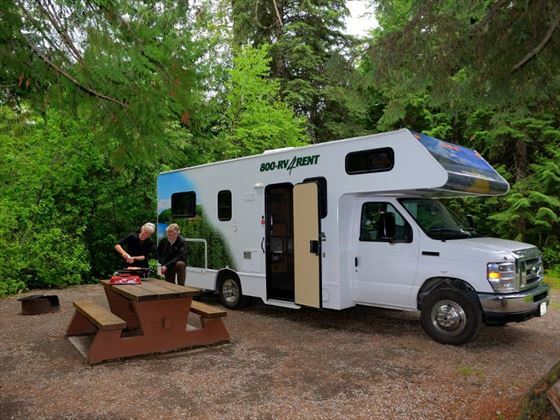 Either book the Early Bird Departure Special so that you can return your motorhome in the afternoon, or check-in back at the Burnaby Cariboo campsite in Vancouver for another night or two.